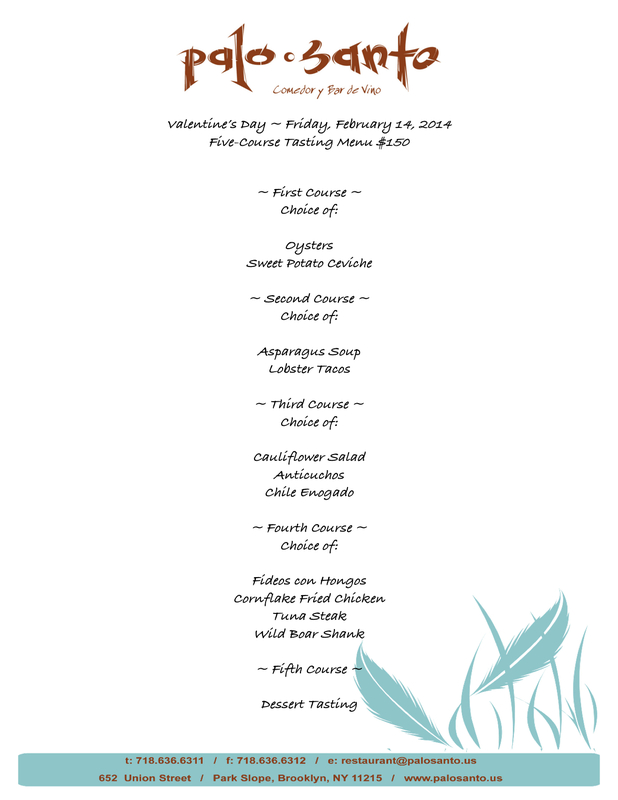 Valentine’s Day Five-Course Tasting Menu at Palo Santo! 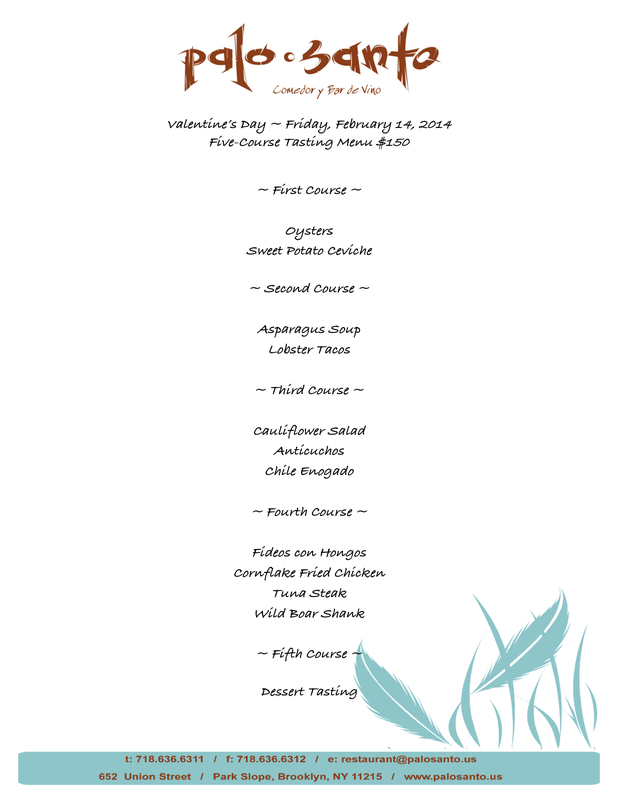 With Valentine’s Day soon approaching, Palo Santo will honor this romantic occasion with a special five-course tasting menu that will feature meat, fish, and vegetarian options! Palo Santo still has some available tables, but make sure to reserve your table soon because our reservation book is filling up fast! • To reserve a table please call: 718-636-6311. 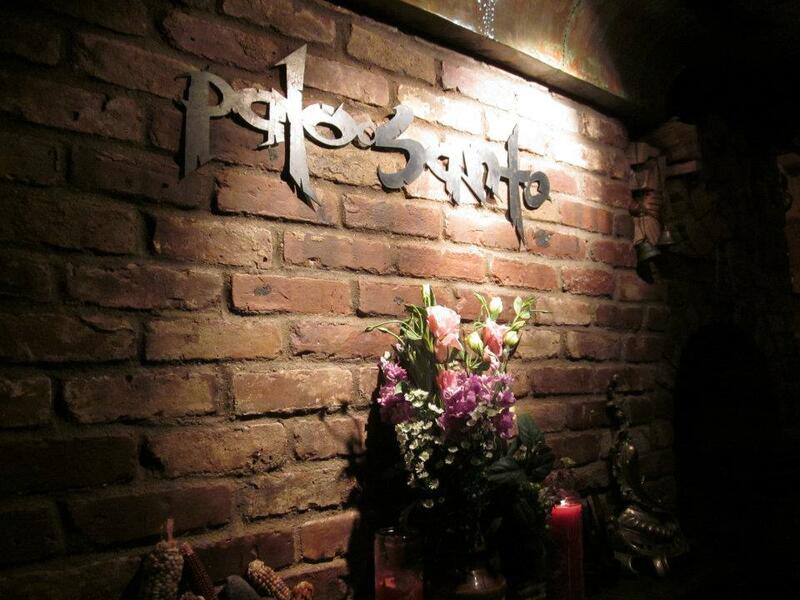 « New Year’s Eve at Palo Santo!